home Entertainment Days After Being Spotted with her, John Cena's Mysterious New Woman Identity Revealed; Who is she? Wanna know who the new woman in John Cena's life is? Find out below. 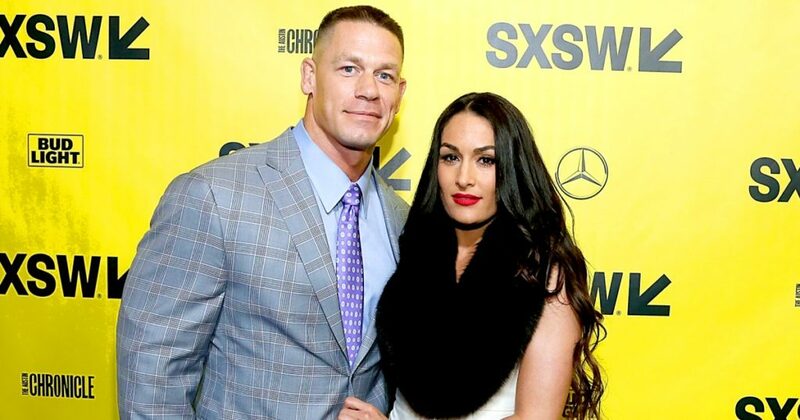 We only reported a couple of days ago that our favorite wrestler John Cena is all caught up in a new romantic life. Cena looked massively happy and smiley when paparazzi spotted him walking hands in hands with a mysterious lady after spending four hours long dinner date together in a restaurant in Vancouver, Canada. Recommended: The Bachelor: Why Did Cassie Randolph Return Colton Underwood's Engagement Ring? Well, since you're here, you must be wondering who the lucky girl is that's making the WWE superstar feel butterflies in his jelly again. But don't worry we gotcha. 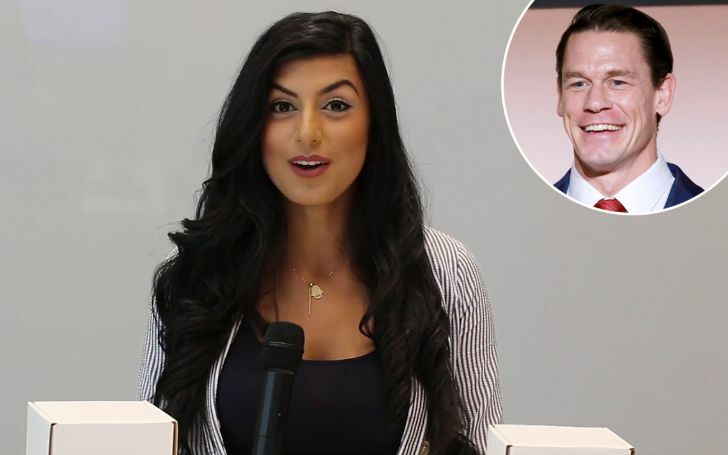 The mysterious woman in John Cena's life is Shay Shariatzadeh. The gorgeous woman John Cena dating is identified as Shay Shariatzadeh. Miss Shariatzadeh is one independent woman who has her life all figured out. Shay works as a project manager at Avigilon, a Vancouver-based software, and hardware surveillance company. As a matter of fact, Shay has been working for Avigilon for nearly four years since 2015. As for what she does for her role in the company, Shariatzadeh manages and commands strategy and launch of the products, estimates global business demands, and leads market analysis. According to her LinkedIn account, she also works with the external third parties to improve companies' alliance and licensing opportunities. John Cena's new love interest Shay Shariatzadeh. Shariatzadeh followed her brother footsteps for her career choice. Shariatzadeh is an undergrad from the University of British Columbia in Electrical and Electronics Engineering. Well, what inspired her to pursue a Bachelor degree in Engineering? It all started when one day her brother came home with a project on an autonomous car, and for Shay who always enjoyed physics and math, she immediately fell for it and decided to become an engineer. Shariatzadeh's mother is her inspiration and rock. The revelation also comes from her company's website, where it mentions apart from her brother, her mother, who is in the medicine line is also her life-long inspiration. As per an International Women's Day feature, she said: "The strongest and most hard working woman I know is my mother. The biggest lesson she taught me was to be independent and fight for the things I want in life." Shay further added: "She is the reason I fight to be the best version of myself, to be kind and to never give up—because, despite all the hardship, she always smiled. She is my hero." Before Shariatzadeh worked as an engineer, she previously served at Guess for two years as a sales associate where her job included to provide customer service to the clients looking for their next perfect outfit. She even worked as a mentor for the University of British Columbia besides wellness and panelist volunteer work. An old pic of John Cena with former fiance Nikki Bella. As for her past relationship and affairs, it's not known yet, however, her romantic appearance with Cena comes after the wrestler splits his six years of togetherness with former fiancee Nikki Bella in April last year. Though Bella is dating Artem Chigvintsev, her former Dancing with the Stars pro partner, the 35 years old retired wrestler recently admitted to her twin sister Brie Bella that seeing her ex-fiance with someone new would "kill" her. Search for someone you connect so strongly with, that you miss them the moment they are gone. On the contrary, Cena is completely and head over heels in love with Shariatzadeh. In fact, he recently took to Twitter to express his newfound love for Shay, as he sweetly wrote: "Search for someone you connect so strongly with, that you miss them the moment they are gone."